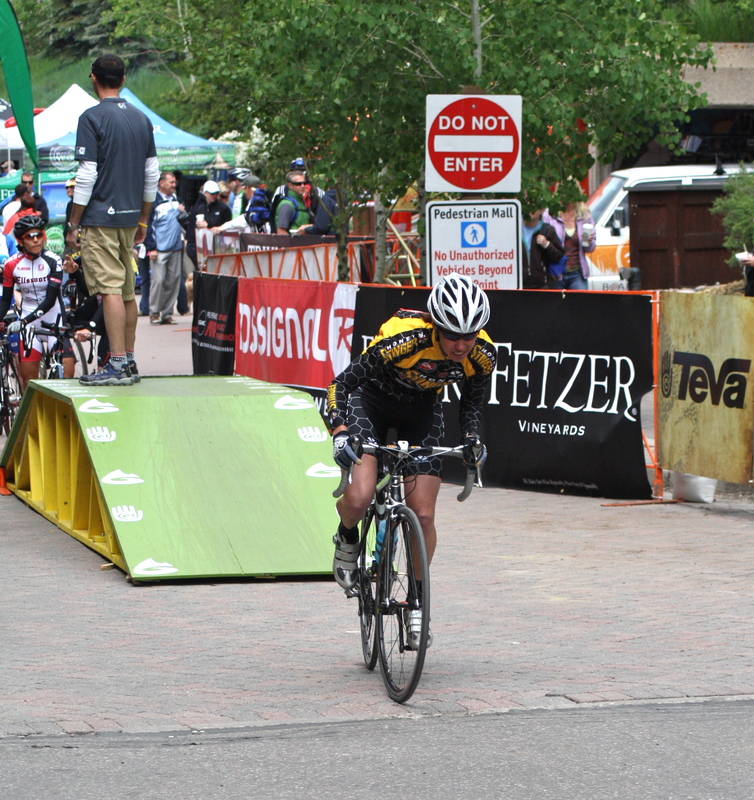 Start of the Vail Pass Hill Climb Time Trial. The last of four events. I’m really looking forward to the next four days but they’re also going to be super busy. Tomorrow Ian and Juniper leave for Vail for the Teva Mountain Games and Axel and I head to Aspen to meet with the Polartec Athlete Advisory Board. Sometime in the midst of packing for Juniper, driving to Aspen to pick up truck parts, going to the grocery store, nursing, parenting, etc. today, I’m hoping to get out for an hour ride and some hill intervals. It’s at these times that I’m thankful for the 1,490 feet of climbing in three miles up to our house – perfect for hill repeats. Tomorrow I’m looking forward to a day with Axel and then dinner in Aspen with the Polartec group. Friday we’ll be brainstorming new product before I head to Vail as well. For the past few years I have competed in the Ultimate Mountain Challenge, racing four events in two days. As amazing and fun as that is, this year I’m looking forward to enjoying the other aspects of the mountain games including the kids areas and cheering my friends on. I hope to run the 10k trail race Sunday morning to see just how slow I am in comparison to last year. I better get on with my large list of to dos so I can enjoy the hill repeats this evening. Sari, I get amazed every time you post these articles. I have a daughter 1 year old and just with one kid I find it hard to have all the loose ends meet up and catch up on the missing training and I feel bad every time I have to cut out a training session. You must do some serious planning to get everything to work out. i have looked around in here to see if I could find out how much training you actually do in a week just to motivate my self to get a bit more done! Thanks for reading and I hope to continue to inspire moms and dads to continue to get out and exercise once they have kids. Good point, I think I need to post something about total hours trained in a typical week. Quickly, since Axel is only 10 weeks old, I am typically getting out about 7 to 10 hours per week. I hope to increase that amount each week but we’ll have to see how it goes. Yes, tons of planning and logitics with my husband and friends regarding watching the kids, nursing and work. While Axel is not really on a schedule, I’m not getting out before my husband leaves for work so I’m taking the kids with me on runs during the day and then riding in the evening. It takes a committment from everyone involved but once you’re on the schdule, it is not bad and well worth the effort. And don’t worry about missing a training session, it happens to all of us. Your family is top priority and then just make the next session a quality one! Good luck and keep getting out here! Let me know if I can answer more questions.